We are happy to announce that from now you can not only trade Bitcoin on our platform but withdraw your profit in Bitcoins too. It's fast, secure and progressive! 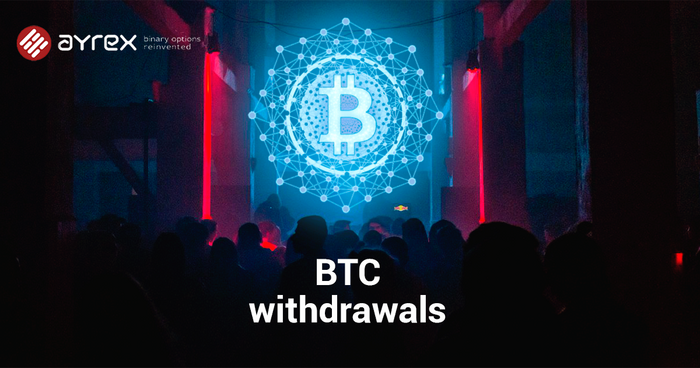 To make your first withdrawal in Bitcoin, log into your account on Ayrex, choose Withdrawals tab and click on Bitcoin. After that, please, fill in your details and that's it. We will process your request within one business day.